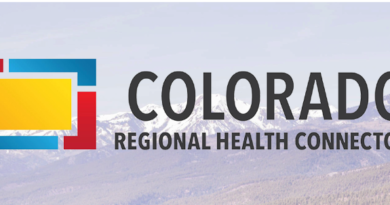 As a host organization, CCAHEC is hosting one of the twenty-one RHCs that are located throughout the state of Colorado. Regional Health Connectors (RHCs) are locally based individuals whose full-time job is to improve the coordination of services to advance health and address the social determinants of health. Although the local relationships and priorities identified in each region will drive the work of each RHC, there are four common goals that all RHCs must adhere to: 1) Address local priorities within program target areas; 2) Support practice transformation efforts; 3) Support population health strategies; 4) Address Social Determinants of Health; 5) Build and strengthen regional partnerships. Ashley identified access to primary care, access to mental health resources and substance abuse prevention, as the three chosen target areas for HSR 17. While Ashley’s first project revolves around opening health clinics to serve Region 17’s rural population, Ashley’s second project includes expanding awareness and access to available mental health resources in HSR 17. Ashley has shifted focus on this project to now include a Weekend Retreat for Park County Veterans and their families. 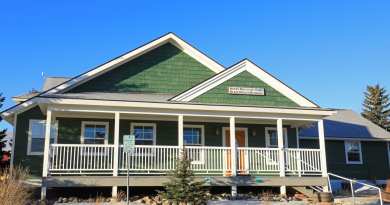 The retreat will take place in Empire, Colorado at Easter Seals camping facility, Rocky Mountain Village with entire use of all its facilities including swimming, fishing, overnight lodging, outdoor cooking, arts & crafts, sports and recreation, hiking, dances, music & drama, and horse-back riding. The services will be provided by a group of Park County volunteers, including Park County Veteran Service Officers, the Regional Health Connector for Park County, Conifer Play Therapy, Regis University staff and students along with a handful of Easter Seals staff and Park County veteran volunteers. The weekend retreat will occur October 26-28th of 2018 and would consist of 10-12 Park County Veteran Families consisting of veterans, spouses and their underage children. The program would include recreational therapy and team building exercises while providing a space for families and couples to reconnect. There will also be a presentation on the resources available to Park County Veterans during the retreat. Recreational activities, such as zip-lining, will also be available to the families. By utilizing recreational therapy and team building exercises through Regis Univeristy’s staff, students and Park County volunteers, the program will offer reintegration support and programs to assist with reconnecting family and loved ones after military duty has ended. This type of retreat is specifically needed in Park County as it’s an extremely rural county, home to the highest peaks in the Rockies, with very limited health care resources. Park County’s population is designated as a Medically Underserved Population and a Health Professional Shortage Area. From Park County, veterans have to travel over at least one mountain pass to reach a VA facility. Transportation and weather make it difficult for veterans to reach VA facilities. This retreat combines the need to reach rural Veterans and their families while providing a space for Veteran families to reconnect through innovative team building exercises and recreational therapy. 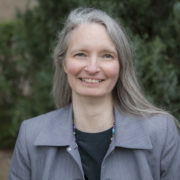 The retreat seeks to reduce barriers to improve access to physical health and mental health services to Park County Veterans, their spouses and their under-aged children and is an appropriate fit within the Regional Health Connector work in HSR 17.